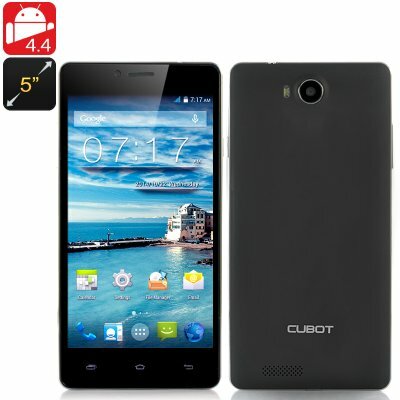 Successfully Added Cubot S208 Quad Core Phone - 5 Inch 960x540 Capacitive IPS OGS Display, MTK6582 1.3GHz CPU, 16GB Memory, Android 4.4 OS (Black) to your Shopping Cart. Cubot S208 Quad Core Phone is a great looker and has stunning pedigree. 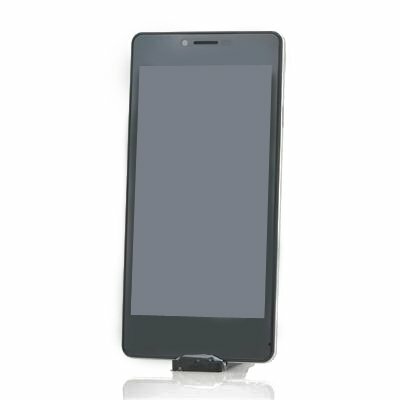 Its slim silky body encompasses a 5 inch 960x540 capacitive IPS OGS Screen, MTK6582 1.3 GHz CPU, 16GB of internal memory and runs off an Android 4.4 OS. At a slim 8.6mm this modelesque phone is a real head turner and it excels in function as well as looks. A quad core 1.3GHz MTK6582 chipset runs combined with 1 GB od RAM means this phone will run all functions efficiently. With a 5 Inch OGS screen that implements IPS technology you will be stunned by the spectacular imagery displayed on this screen that will make view films or playing games a true delight. Running the Android 4.4 OS system brings a host of beautiful features and functions such as the Google Now voice commands, full-screen album and movie art when the phone is locked and immersive mode that all help to make using this device a great experience. There is a front facing 5 megapixel camera to take self portrait pictures or engage in live web chats and on the rear of the phone is an 8 megapixel camera that's great for landscape shots or filming the world going by as it captures film in 1920x1088 resolutions. 16GB of memory should be enough for most of your needs but just in case you need more there is a micro SD card slot that supports up to 32GB of additional storage.